Homer's View is perfect for families of 4 or for large groups of 8 people or more. The owners are available 24/7 to help book restaurant tables, beach sun loungers, boat rides and other activities. This added service will make your stay memorable. 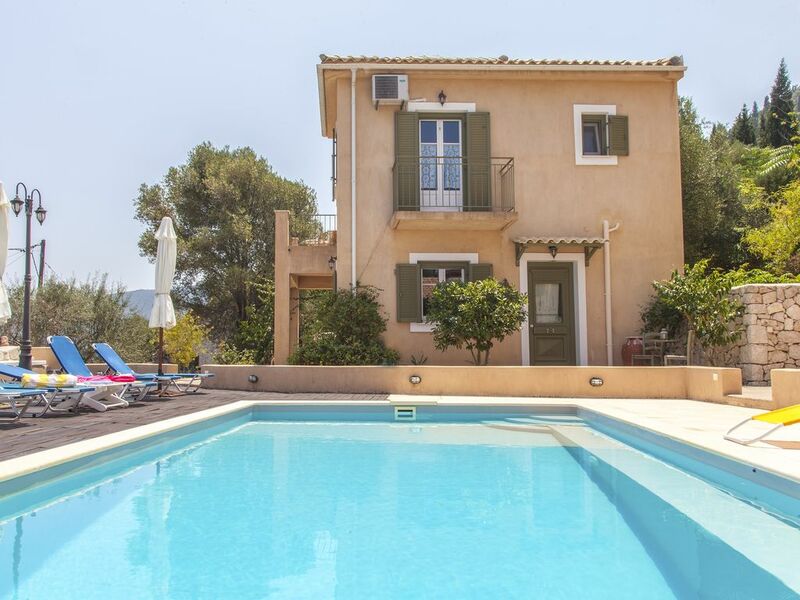 We have two fully equipped villas with a shared pool located in a peaceful village called Kolieri in the North Ithaca. Each villa has two bedrooms and two bathrooms upstairs and a fully equipped kitchen, lounge, WC and BBQ downstairs. All bedrooms have balconies with breath-taking sea views of Afales Bay. Each villa sleeps up to 4 people very comfortably in beds and the lounges consist of 2 sofa couches each for additional people, bringing the total capacity to 12. Each villa also has a dish washer, washing machine, Wi-Fi, satellite TV & full air condition. We service the villas daily and change towels and sheets every three days. The owners of Homer's View live across the road and are available 24/7 for advice on where to go and what to do. We will also help you book restaurant tables, boat rides and sun loungers on the beach. This accommodation is kept immaculate and spotless at all times. The setting and location is peaceful and private. Owners available all day to attend to guests requests and to help make your holiday in Ithaca a memorable one.